The retail sector has been shaken by a sharp rise in debt defaults, which made financing extremely costly for the buyout effort explored by the fourth generation of Nordstrom‘s founding family. As the fourth generation of Nordstrom‘s founding family spent the summer exploring the idea of taking the retailer private and scouting for financing, one thing was clear: It wouldn’t come cheap. The family needed roughly $7 billion to fund the deal, and lenders demanded a steep interest rate, according to people with knowledge of the matter. After meeting at least nine different firms over the course of four months, the asking price came to about 13 percent, said the people, who requested not to be identified because the discussions were private. That’s roughly twice the average borrowing cost for typical retailers, and it’s a rate that few otherwise-viable businesses would be able to sustain. So the Nordstrom family put its buyout plans on ice Monday and delivered an unmistakable message to the retail industry. In an era of shuttered storefronts, bankruptcies and sluggish mall traffic, the sector has become toxic for creditors. 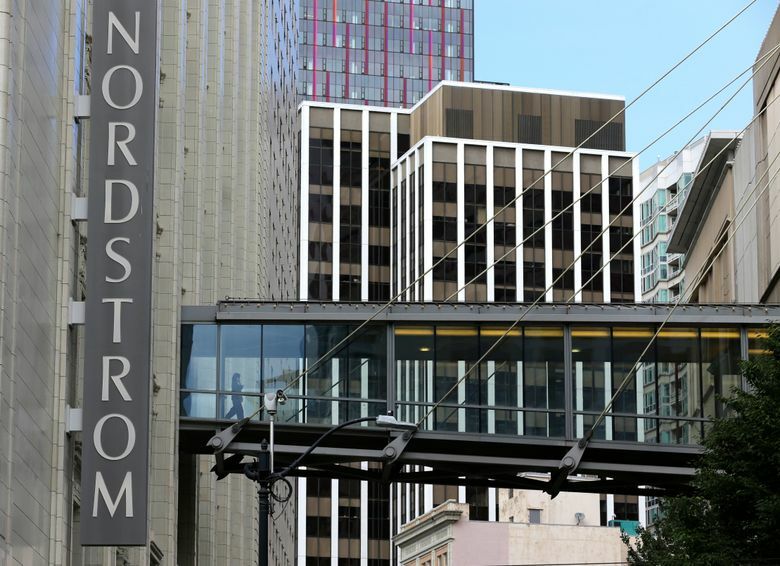 Representatives for Seattle-based Nordstrom declined to comment. The company was an unlikely poster child for retail-lending woes. Unlike some of its peers left in the dust of digital juggernaut Amazon.com, Nordstrom hasn’t seen sales nosedive. Its web strategy is seen as stronger than department-store rivals such as Macy’s and J.C. Penney, with online revenue rising 20 percent in the second quarter. It’s also not afraid to take risks. This month, it launched a new concept called Nordstrom Local, where shoppers can meet with a personal stylist, get manicures, have a glass of wine, and pick up or return an online order. Nordstrom’s niche offering of higher-end apparel — coupled with the discount Nordstrom Rack brand — helps differentiate the retailer from competitors, said Bridget Weishaar, an analyst at Morningstar Investment Services. Still, it’s part of an industry where more businesses are rated as distressed by Moody’s Investors Service than at any point during the last financial crisis. The ratings firm sees the default specter shifting to retail from the oil and gas industry, where a collapse in oil prices wreaked havoc over the past couple of years. Although there were fewer defaults overall in the third quarter, 38 percent were in retail, compared with 17 percent in the second quarter — and none in the first three months of the year. Toys “R” Us filed for bankruptcy last month, and creditors are closely watching chains such as J. Crew Group, Claire’s Stores and Nine West Holdings. The fear is that bulging debt loads, looming maturities, and softening performance could force more restructurings in the not-too-distant future. Debt investors have already been burnt by some of the biggest leveraged retail deals in recent years. Neiman Marcus Group’s $2.8 billion loan is quoted as trading at less than 80 cents on the dollar, while names like PetSmart, Petco Animal Supplies and Belk are all trading in the 80s. With the critical holiday season just around the corner, they’re in no mood to lend to retailers for new deals without getting a better picture of their performance. No wonder then that the five banks that the Nordstrom family had chosen — whittled down from nine in June — were more or less in agreement that they’d need to be well compensated for the risk of lending to the retailer, lest they end up being stuck with the debt themselves. The family took more than two months to team up with private equity firm Leonard Green & Partners on the deal, said one person with knowledge of the matter. That delay hurt the transaction’s chances, the person said. The bankruptcy of Toys “R” Us and declining prices for PetSmart’s debt also made banks more concerned that investors would sour on Nordstrom, according to the person. Monday’s news that the buyout effort was suspended sent Nordstrom shares down 5.3 percent to $40.40, though they rebounded about 1 percent on Tuesday. The retailer plans to revisit the idea of a deal after the holidays are over, and it could well find more success then, said Tony Scherrer, director of research at Smead Capital Management. But the clouds looming over retail show no signs of clearing soon. Bankers and investors expect the lending drought to last into 2018 if not beyond.